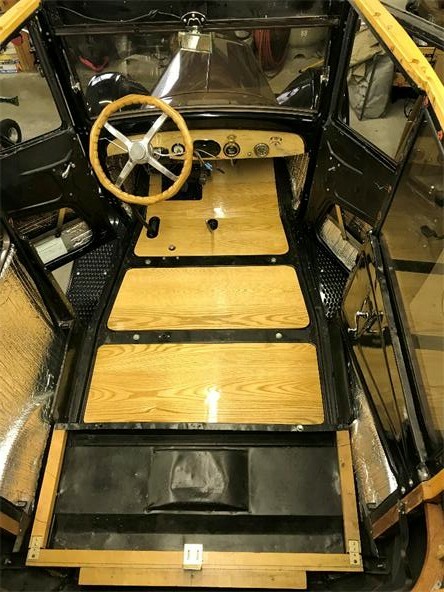 Where do I find plans for floorboards for a 26 roadster? I can figure them out but plans for around the pedals and e-brake lever would help would help. Me too. The boards in my '26 Roadster appear to have started life as someone's demolished kitchen cabinets. Here is a link to just one of the old forum threads that came up when I googled "MTFCA 1926 floorboards". I never got the plans from The Benson Ford. I just made a replacement board for my worst one using the broken one for a pattern and am using the others. 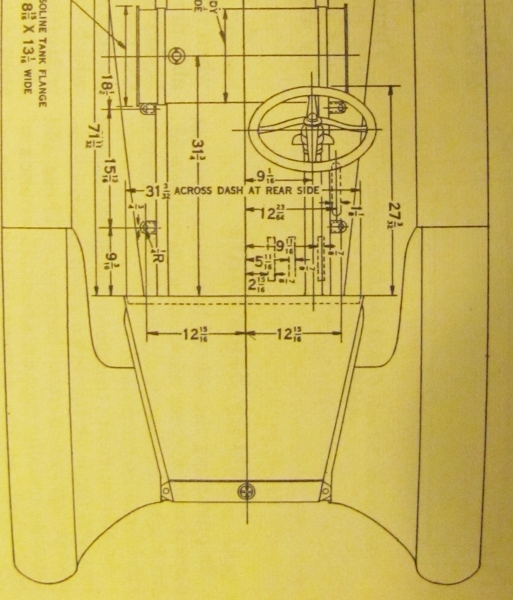 '26-'27 per Ford diagram, for the pedal spacing, use centerline from steering column as ref. If you can wait until the weekend I can try and remember to put up dimensioned pictures of the floorboards I'm half finished making for my 26. The only caution is that mine are patterned off a sketchy non-original set then tweaked to actually fit. Some fettling may be required on yours. Why not just buy a pair from Jon Anderson? Well, in my case, I'm building a speedster with a roadster cowl so I'm just looking for dimensions so I can base my floor boards off roadster ones. And in my case I'm cheap and had plywood laying around. When we temporarily swapped the motor in our 19 to a newer one(25) with wider pedal spacing I made a template out of stiff cardboard before cutting wood. 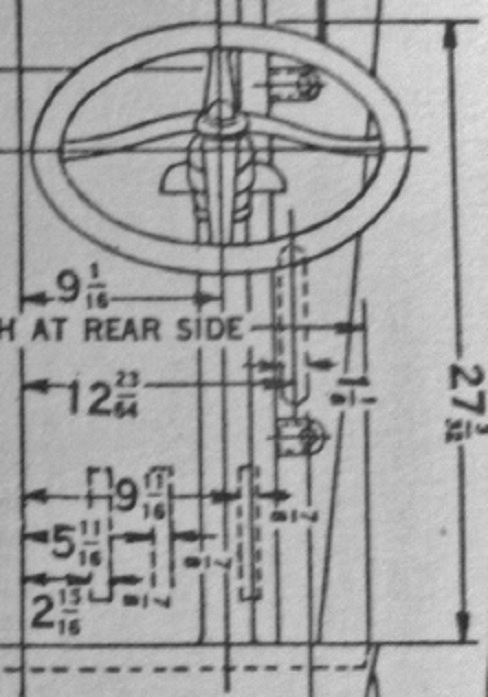 Just to follow up, there�s no point in me posting pics of my floorboards as the pedal spacing in the diagrams above are bang on for a 26-27 car and the rest can be made to fit whatever you�ve got. I made my plans using cardboard template and duck tape. You get the correct pedal spacing and I think the best results. My car is a 1926 Tudor. I'm in the middle of making a set for a 26 Tudor. Copying what I think are mostly original pieces in bad shape. On the center (under the front seats) and rear section, the grain runs front to back. The rear one was half fastened in, with the other half easily lifted out to get to the battery. Most of the pieces had shiplap joints but the lower part of the front was tongue and groove with splines on the edges. I'm copying what we have as good as I can, but I really don't know if it is truly original or accurate.